Off the top of your head can you name five brands you purchase or use regularly? Maybe it’s a clothing company you shop at, a laundry detergent you like to use or an airline you prefer to fly on. As consumers why do we make the purchasing decisions that we do? Our society’s spending habits today are influenced tremendously by branding. Consumers stay loyal to one brand over another because of identity and emotional appeal. If we can identify a brand we know and trust, why wouldn’t we want to continue being a loyal customer? The companies who are able to create an emotional connection with their consumers are the ones who will prosper in the end. But how are brands successfully able to execute on this? 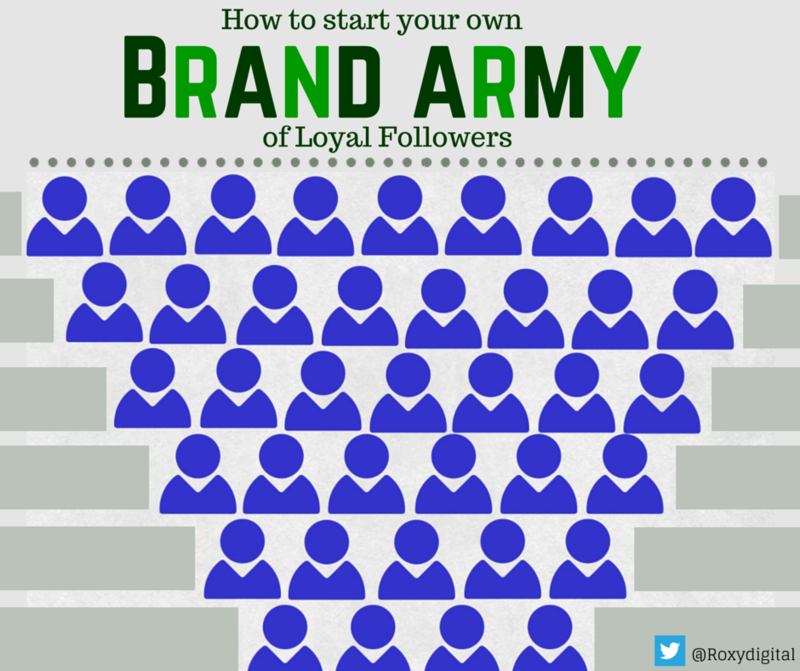 How do brands start an army of brand ambassadors—people who love their company and spread the word? Have you ever felt treated like a number when dealing with a company before? Do those automated messages or, “I’m sorry but there’s nothing I can do” responses anger you enough to want to switch to another provider or company? As purchasers, we want to be treated like the living, breathing, humans we are; not a number. Superb customer service is essential to spark positive emotions and associations in your customers—enough to make them want to come back again. Many companies view customer service as something they have to do; simply going through the motions over and over again. Some front lines read scripts that sound robotic and long-winded. But the brands who are able to successfully solicit loyal brand ambassadors and purchasers are the ones who oftentimes deliver an actual experience or journey for their customer. For example, the other week I was in Nordstrom’s shopping for a birthday gift. The sales associate working with me was attentive and helpful in her suggestions. I made my purchase, left the store, and continued on with my day. Several days after my visit, to my surprise, I received a handwritten thank-you note from the sales associate who had helped me just a few days prior. This thank-you was not a generic “Thanks for coming in” note, which, to be honest, would have been a pleasant surprise in itself. However, the sales associate wanted to make sure that my mother liked her gift and personally wished her a Happy Birthday in the card. I was touched. The thank you note was so unexpected yet personal. It showed that Nordstrom’s as a brand was invested in their customer’s satisfaction. They want their customers to not just return again but to associate these positive feelings with their brand. The brands that find ways to stay memorable and have impeccable customer service are the ones who have lifelong customers and brand advocates. Channel Nordstrom’s customer service tactics and write handwritten thank-you notes. A little gesture can oftentimes go a long way and leave a lasting impression. What can your brand do for your customers? Do you ever use social media to reach out to a brand for one reason or another? Maybe you were very pleased with an experience you had with a company and wanted to tweet about it, or maybe the opposite, and you wanted to express your concerns or frustrations with a brand. Either way, if people are talking about your brand on social media the absolute worst thing you can do is ignore them. 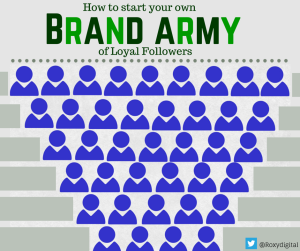 If your brand is not engaging with your customers or audience on social media constantly, simply put, you won’t develop a brand army let alone a social media following of any kind. Bottom line: be where your customers are online and always engage. Did you get a bad review on yelp? Acknowledge it. Apologize. Respond. Show that your brand cares. In return, your audience will care, too. Make your audience feel special. In addition to posting great content that is tailored to your ideal consumer and audience, offer your Twitter followers a special incentive or promotional deal from time to time. This tactic will help to shed light on your brand in a positive manner and also solicit new potential customers—your future brand ambassadors. Engage enough with your audience on social media in the right places, and people will naturally start to gravitate towards your brand. Aside from being one of the most popular sporting events each year, why do so many people watch the Super Bowl? You guessed it- for the commercials! But why? Because as consumers we are craving something different, something new. Let’s face it: the successful brands are the ones who have found ways to market their product creatively. People will naturally begin to take notice when a brand differentiates their self or thinks “outside the box”. So what is stopping us from internalizing and executing on this concept when it comes to branding? Differentiating yourself as a brand will help you stand out from the online noise and “digital clutter”. Take Oreo for example. Oreo does a great job of finding ways to stand out in their marketing and social media efforts, thus building their brand army. In the past, Oreo has tweeted out haiku’s of recipes using their product in only 140 characters. Not only do these tweets require thought and effort on the brand’s behalf, but their outside-the-box social media marketing strategies spark thousands of re-tweets and comments, ultimately leading to more engagement. What can your brand do to stand out from the rest? If you’re a business owner struggling to figure out how to grow your business, the answer lies in how your brand is perceived by others. Harness the power of superb customer service, constantly engage with your audience, and differentiate your company by thinking creatively. Implementing these tactics will help to not only grow your business, but will also help lure people in to start knowing, trusting, and ultimately loving your brand.